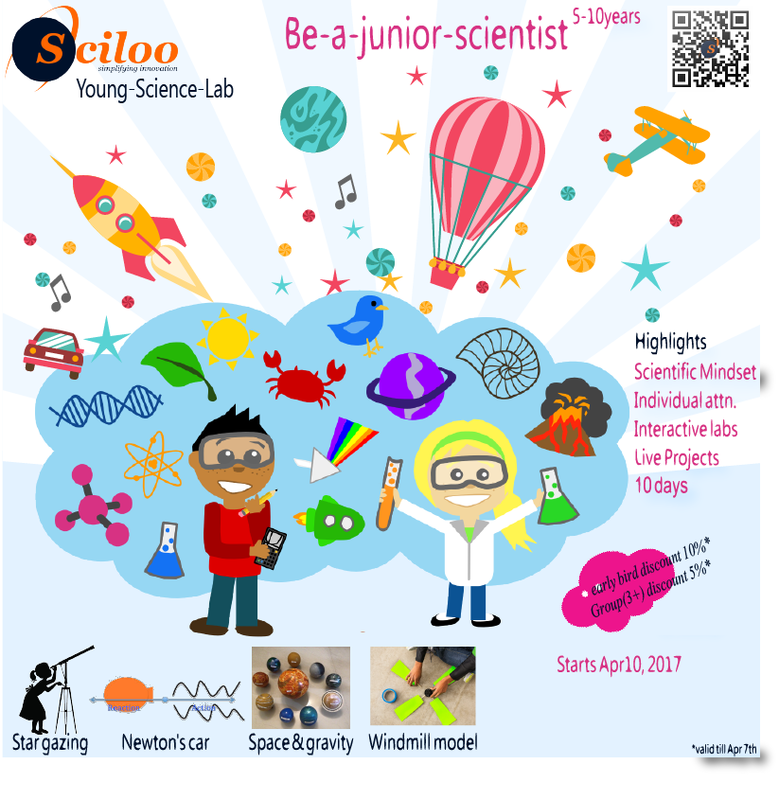 Young-Science-Lab was started a week back and the response of kids is immense. They are enjoying the scientific experiments and thinking approach. The experiments and learnings covered in the workshop are given in the end. They are introduced to the pleasure of finding things themselves and extending their thinking. Schools typically teach these young thinkers and future makers very poorly. Their focus is on curriculum not on what the kids like and dislike, how they think and how to drive passion and making them fearless in each one of them. We ensure they identify themselves, their role in life, and appreciate the art of observation and communication of facts (science) and its use. The work shop was very informative and provided good insight to the children to think about the things they see all around them in daily life. It was a marvellous yet simple camp with importance on encouraging children to think and no other fuss.Next time, you can provide detailed program about the topics being touched and also keep an exhibition of the things done/models made in the camp with invitation to the entire apartment. Wish you Good Luck!